For as long as I can remember, I have always been fascinated with porcelain, ceramics, china… heck, even clay pots. Through the years I have collected a number of different pieces from different brands and I usually try to mix and match. However, I’ve never been one to be fixated on a particular pattern. 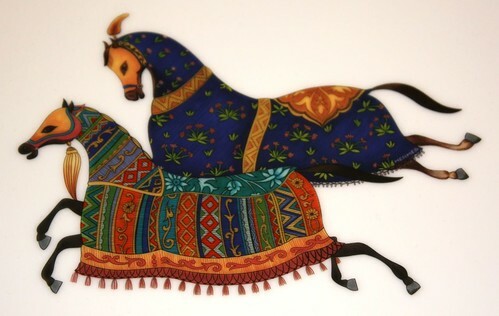 Pattern inspired by a scene from Shah-Nameh dated 1440, featuring horses engaged in fighting between Rostam and Isfandisyar during the battle between Gaw and Talhand. Ever since I laid my eyes on this beautiful pattern, I knew I had to have it. 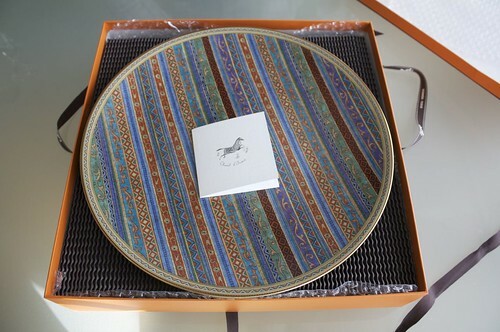 It is from the Hermès tableware collection called Cheval d’Orient. The designs take their inspiration from porcelain in the Adrien Dubouché National Museum in Limoges and from objects displayed in the Emile Hermès collection. 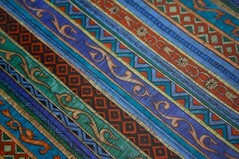 Some of the ornate polychromatic patterns were inspired by Persian frescoes in the miniaturist style (late Sixteenth to early Seventeenth Century). The fine lines of gold were painted by hand and burnished. 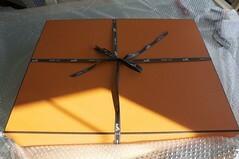 Good thing my partner agreed with me when we first saw it in the Hermès store in Paris. We decided to slowly collect all the pieces we want and so far, it’s still going. 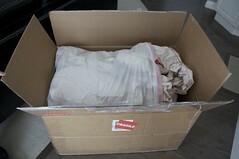 Anyway, we ordered a few more pieces so another package arrived a couple of weeks ago. We thought it was kind of big when we picked it up. I was so excited that they may have given us a few pieces for free. I know, “yeah right!” Turns out it was just packaging. I know. It doesn’t look very exciting. 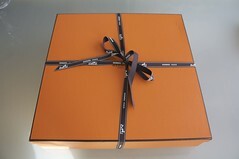 A ‘Thank You’ and birthday gift. A set of Hermèssence samples. Hermès sauce boat. Shape inspired by a First Empire sauce boat. 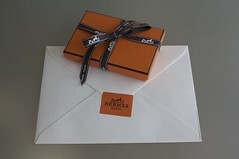 The collection is magnificently timeless. 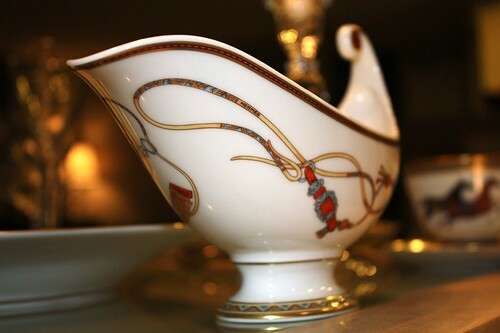 Not only for the dinner table but also as beautiful décor items. Maybe someday we will have all the pieces in the entire collection. Even if it is only in my dreams! 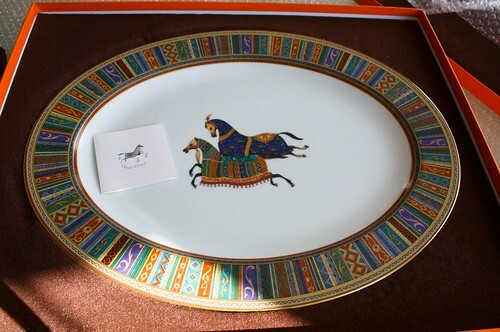 This entry was posted in House & Home and tagged bridle, Hermès, horses, large oval platter, orange, plate, platter, presentation plate, saddle, sauce boat. Bookmark the permalink. Post a comment or leave a trackback: Trackback URL. HI, WAS WONDERING IF YOU KNOW IF THERE IS A CAKE PLATE, OR SALAD PLATE THAT HAS THE SAME TRIM AS THE PRESENTATION PLATE – STRIPE BORDER. You are correct. 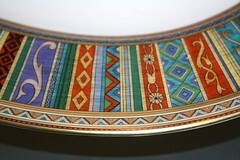 There is a cake plate that has the same pattern and trim as the presentation plate. It’s a little smaller than the dessert plate. It measures 19 cm and the dessert plate is 21 cm.